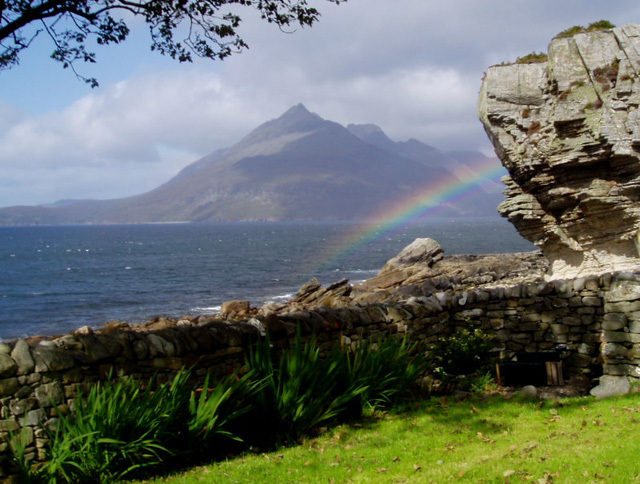 Port Elgol Cottage sits in an idyllic setting on the shores of Loch Scavaig. 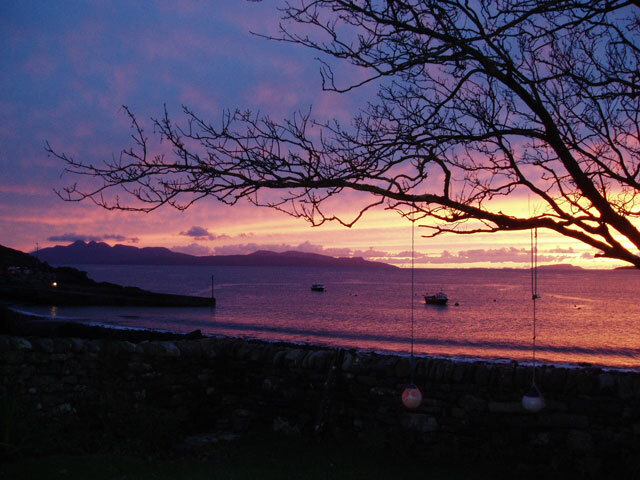 The property enjoys uninterrupted views towards the Cuillin mountains, and the islands of Rum, Canna and Soay. 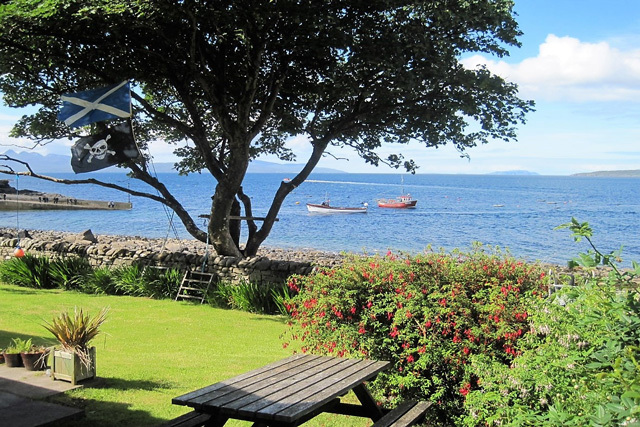 With village amenities just a short distance away, this cottage offers a perfect retreat for a Wilderness Cottage holiday, and an ideal base to enjoy the many walks available in the area. 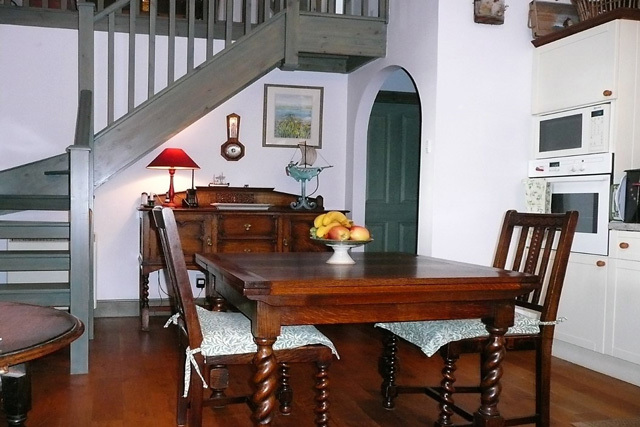 Inside the property is beautifully presented and equipped and furnished to a high standard. The accommodation is split over two levels; the main living area is open plan with a vaulted ceiling, oak flooring and a wood burner. 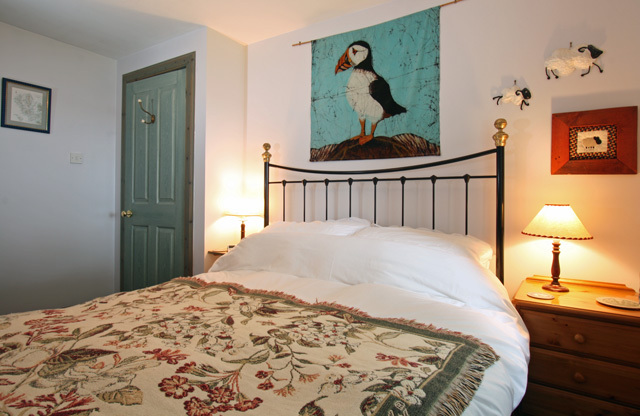 This room is spacious and light and ideal for relaxing in after a day exploring. The kitchen runs along one side of this room and has all the usual appliances and equipment that you would expect. The seating area is positioned to enjoy the warmth of the wood burner and the views over the garden to the sea, and at the other end a dining table for four. Off the main room a small hall leads to the bedrooms and bathroom. 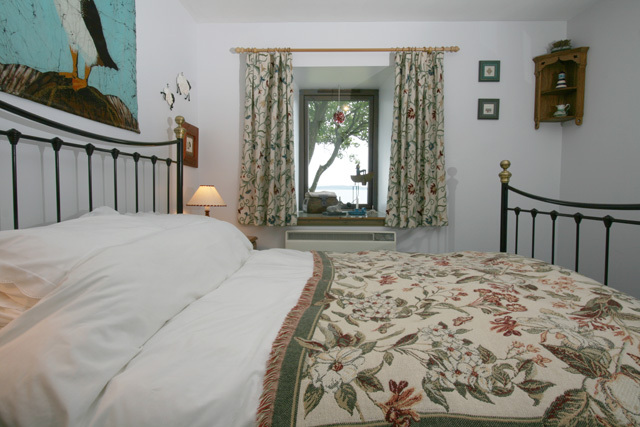 The master complete with a king size bed is situated to the front of the property and enjoys views to the garden and the shore beyond. To the rear of the hall, a few steps lead to the upper level and the twin bedroom and bathroom. At the front of the property an enclosed garden is ideal for those guests with young children, and is also a perfect place to sit and relax and enjoy the fantastic sunsets. 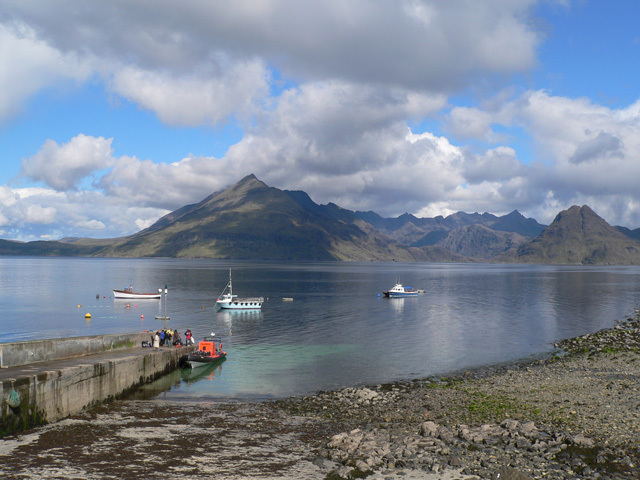 Elgol has some facilities including a small shop, the Coruisk House Restaurant, and a couple of tearooms, one located within the village shop and another at Cuillin View. The main attraction though is the various boat trips that run from the harbour. 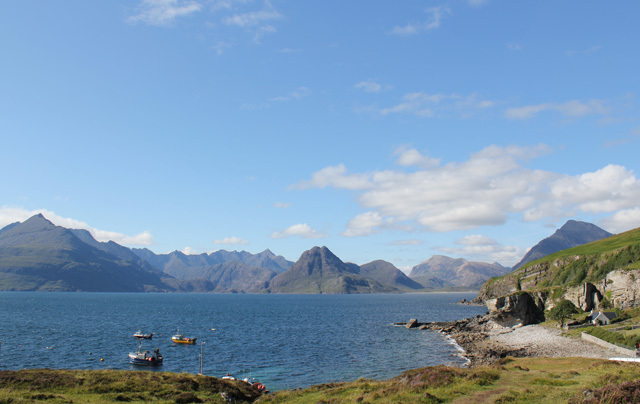 These include the well known Bella Jane and Misty Isle boats that run from Elgol to Loch Coruisk, which is situated in the heart of the Cuillin mountains and offers some of the most spectacular scenery on the island. 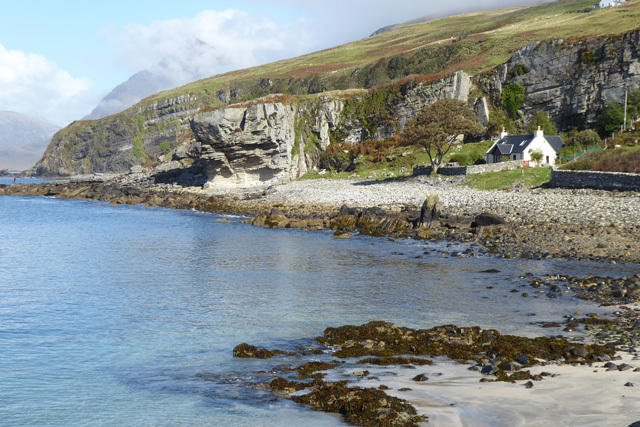 These trips will also allow you to view the native sea birds and other sea life, including otters and seals, and the occasional basking shark, dolphins, or porpoise if you are extremely lucky. These even have been spotted from the cottage garden on occasion. For those guests wanting something a bit more exhilarating take a trip with AquaXplore. 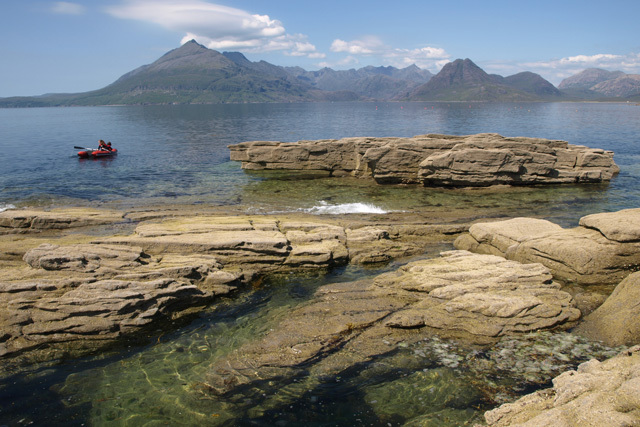 This company offers wildlife and whale watching tours on RIBS (Rigid Hull Inflatable Boats) not only to Loch Coruisk but also to the islands of Canna, Rum, Soay and Eigg. Open plan living incorporating the sitting room and kitchen. Sitting room, comfortable seating, wood burner, flat screen TV with Freesat, DVD, CD, iPod docking station. Kitchen area, electric oven, ceramic hob, fridge with small freezer compartment, microwave, washing machine, dining table and seating for four. Master bedroom with king size bed, sea views. Bathroom, bath with shower over, wc, whb, heated towel rail, wall heater. 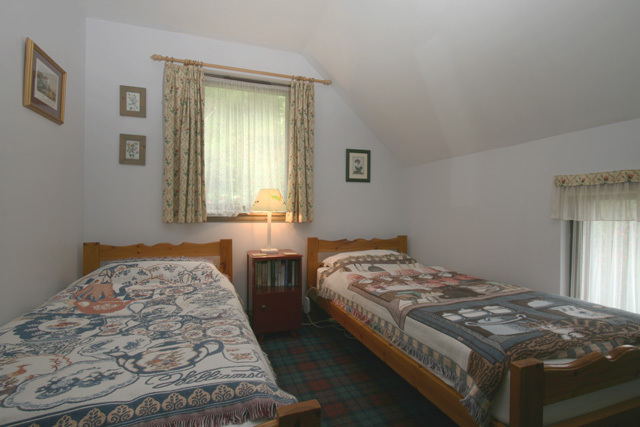 Bed linen, however towels are not supplied, but can be rented at £5.00 per set. Electricity and night storage heating. Telephone with honesty box, no mobile reception. 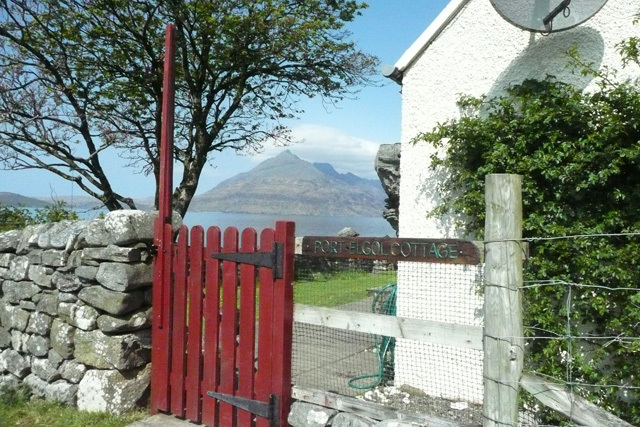 Parking is available at the end of a footpath (100 metres) which leads to the cottage. Access for guests is via a little path that runs along the back of the school. This means that you will have to carry all your supplies by foot to the cottage, or use the wheelbarrows supplied. 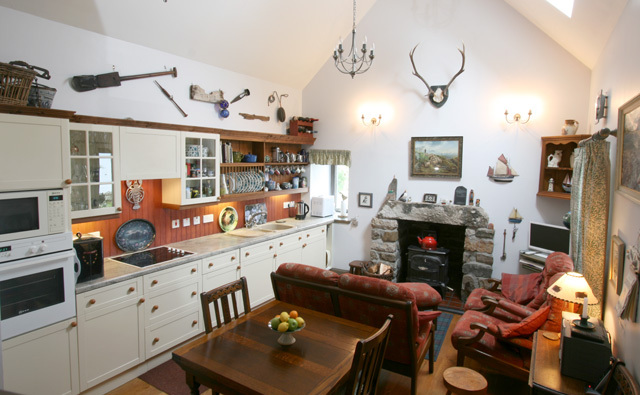 Modernised cottage full of character and a haven in all weathers. Unique coastal position, not often found. 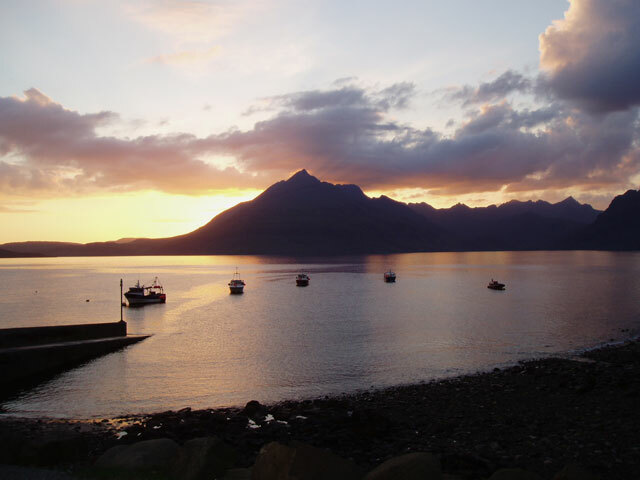 Spectacular sunsets and iconic views of the Cuillin mountains. 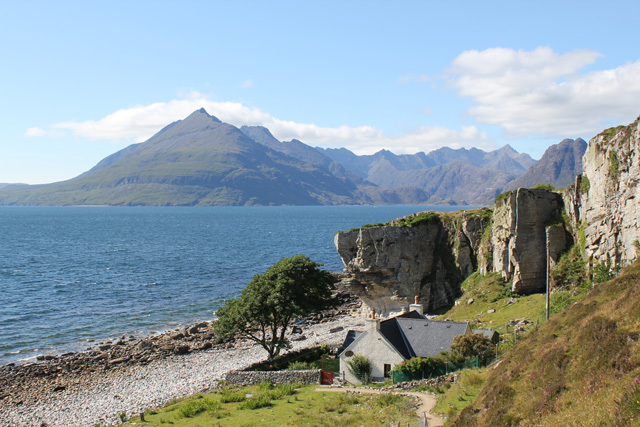 We had a wonderful stay in Port Elgol Cottage which is beautifully situated on the shore at Elgol. 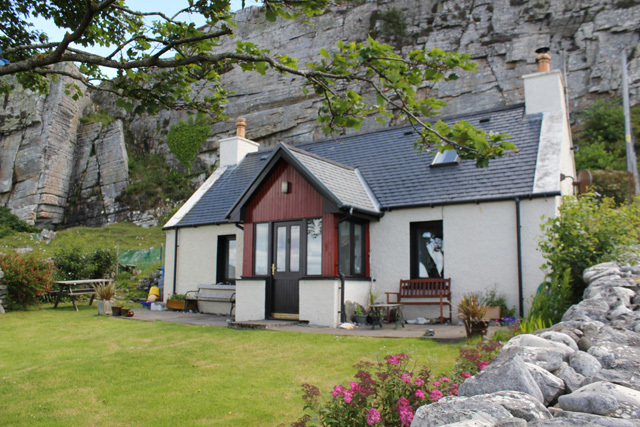 The cottage was very cosy and comfortable with great views. It has everything you need for a good holiday.